On May 23, 2014, I put in my notice at my last job. The good news is, I didn’t just join the unemployment lines. I had a job offer waiting for me that’s a little outside of my usual expertise but encompasses a lot of the finer points of my background. I don’t know where this job will lead me but I definitely reached that “next stage of my career” distinction that I required for my 30before30 list. Honestly, without setting that goal I don’t know if I would have had the courage to even apply for the job let alone take it. Don’t be afraid to dream big. I know that taking this job means I may have to sacrifice other priorities on my list, like a bigger trip or some of my activities that involve free time. It also put my family in a better position and sometimes you have to make sacrifices. Maybe I won’t achieve those dreams before I’m 30 but hopefully I’ll have the courage to keep going for them. At the end of the day, I may have burned some bridges at my last job. In some ways I’m sorry because so many of the people meant so much to me. On the other hand, people there had stopped believing they deserved to be rewarded for hard work and I think some of the discomfort they felt was seeing the status quo challenged. It hurts my heart that so many people feel trapped for so many reasons and not everyone had the freedom to turn their back on the kind of job that just a few years earlier I had dreamed of. I had to leave so I didn’t feel trapped in my own way. We all have choices and we can all learn from the ones we do (or don’t) make. Despite what people think of me, I took a big step forward. Tina Fey had it right all along. 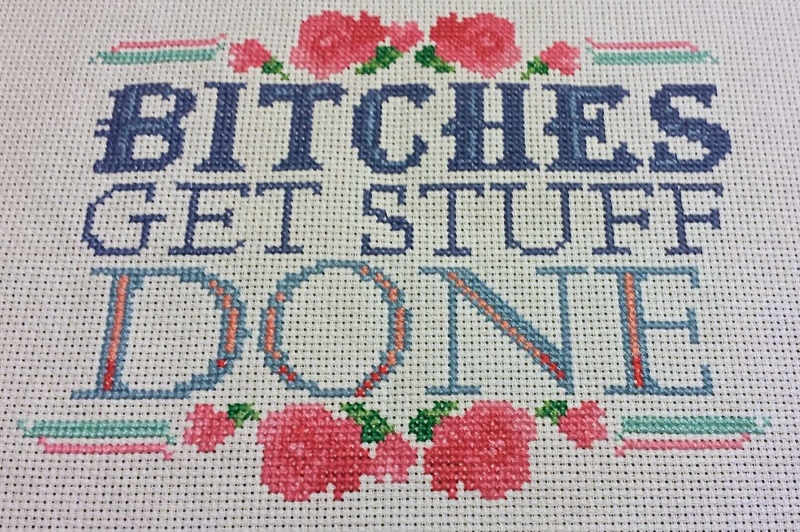 I finally finished a cross stitch pattern the same week I left my job. 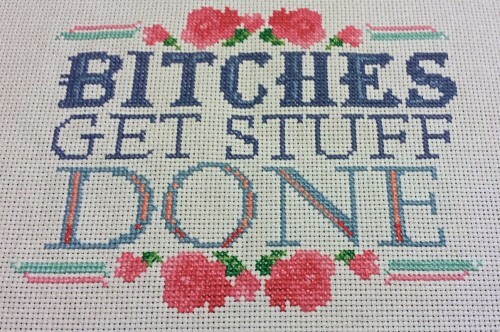 Thanks to plasticlittlecovers for making a design that encompasses my life. My summer started off completely different than I ever expected and that new job gave way to a decision to move from the country to the city. That’s another very long story though and one that isn’t quite over. I may have to come back to it.